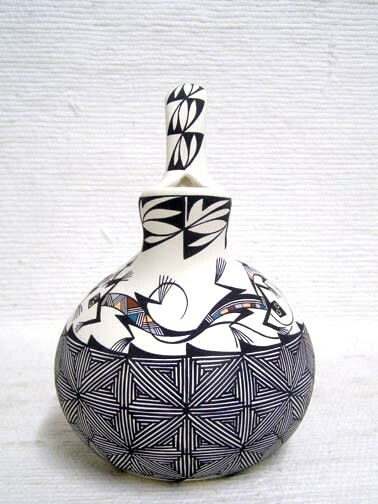 The Wedding Vase is an ancient vessel still used in traditional Pueblo wedding ceremonies. 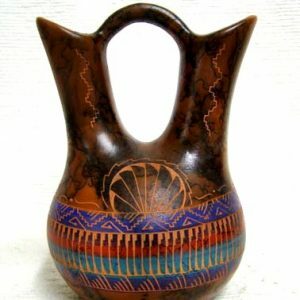 One spout of the vessel represents the husband and the other the wife. 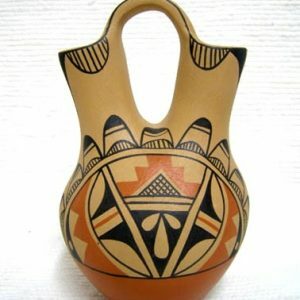 The looped handle represents the unity achieved with marriage. The space created within the loop represents the circle of life. In the traditional ceremony, the couple drink nectar (prepared by the medicine man) from the spouts to represent the blending their lives. The pot is a reflection of the ancient rite. 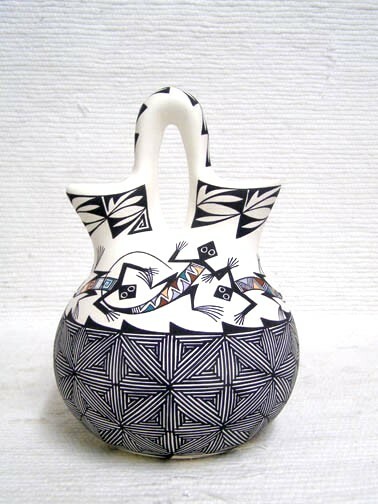 This wedding vase with Lizards was handpainted by Brenda Cerno and Mike Garcia from Acoma, NM. 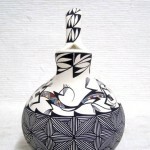 The lizards dance in celebration of water and each straight line on this piece of pottery is a prayer for rain. A classic shape and beautifully painted. 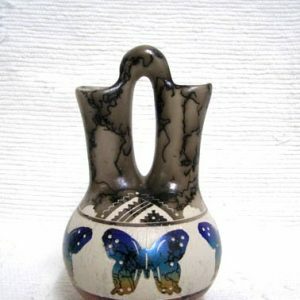 This vase measures 8 inches tall. 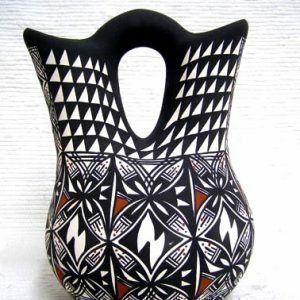 This Navajo pottery is authenticated by artist’s signature on bottom of vase.